Whether it's walking, climbing, fishing, arts, crafts, kayaking, history, photography or wildlife that takes your fancy then Lower Breakish in south Skye is the perfect location to do it all. 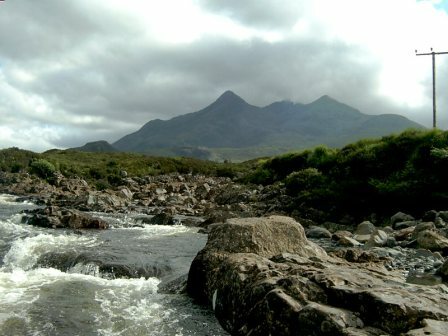 Central for exploring The Isle of Skye and Wester Ross it's an ideal base. As its name suggests, The Bijou Hideaway is a cosy, well equipped, open-plan self-catering studio for two. Compact but perfect for two as a base to chill and relax during your Skye holiday. Surrounded by stunning views, coastal walks, peace, tranquility and nature it is the ideal getaway. Lower Breakish is a quiet crofting community where sheep and cows roam freely and otters can often be seen wandering through the garden. It's an ideal base for touring Skye and Lochalsh. It is advisable to have a car when staying here. The studio is located only 3 miles from the village of Broadford where you can pick up local supplies at the supermarket, fuel (24hrs), atm, pubs, restaurants and there is also a village hospital. Red Skye restaurant is a 10-15min walk from the studio and is frequented by our guests regularly. Take a look around our website for further information about the property, the area and how to book. Proprietors Derek and Angela Dougan look forward to welcoming you and will be more than happy to assist if you require any further information about the area.